Bring a very special doll into your home with one of my handmade and accurate little ladies. Veiw my gallery or provide a photograph to create a doll that resembles a family member or personality that you like. My detailed approach to moulding polymer clay creates unique expresions and one-of-a-kind face that you wont see anywhere else. Provide a photograph and tell me how you would like your unique character figure to look and be dressed. 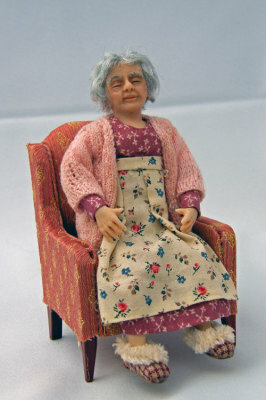 Bring life like and special figurines into your doll house, all dolls are 1/12 scale. Let me know what time period you would like me to capture, or browse my gallery for inspiration of the type of cloths you would like them to wear. I create accurate period clothing, from Tudor dress to modern day, I use a range of qualitiy fabrics including silk, lace, cotton and vintage cloth. 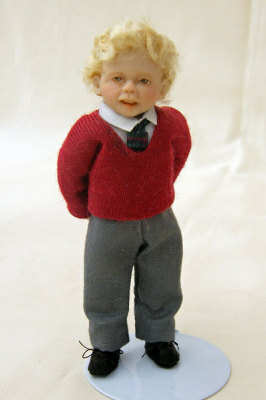 Bring male dolls into your house with unique personalities, browse my detailed and hand crafted male figures. 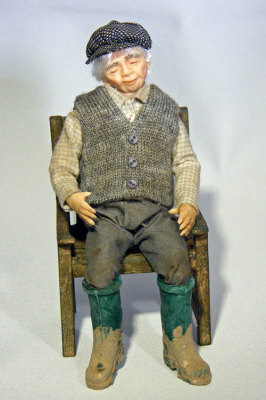 I create each face from polymer clay, Most dolls are posable but if you require a certain posture please let me know. 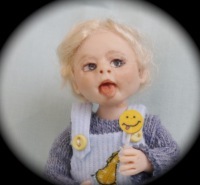 I have been working with polymer clay for over 22 years and can use my experience and attention to detail to capture the likeness of your photograph for a truly special doll. Please provide good quality photographs and from all angles as possible. Bring a new baby or child home to yor dolls house, every child and baby has a unique personality and style as do all my figures. I can create a beautiful child or baby figure out of polymer clay with a life-like charm. Tell me whether you would like a boy or girl, what time period your doll lived in, and evern provide a photograph so I can capture a likeness. All my figures are unique and handmade by me for a truly special gift or addition to yor collection. Contact me and take a look at some past examples or made to order. 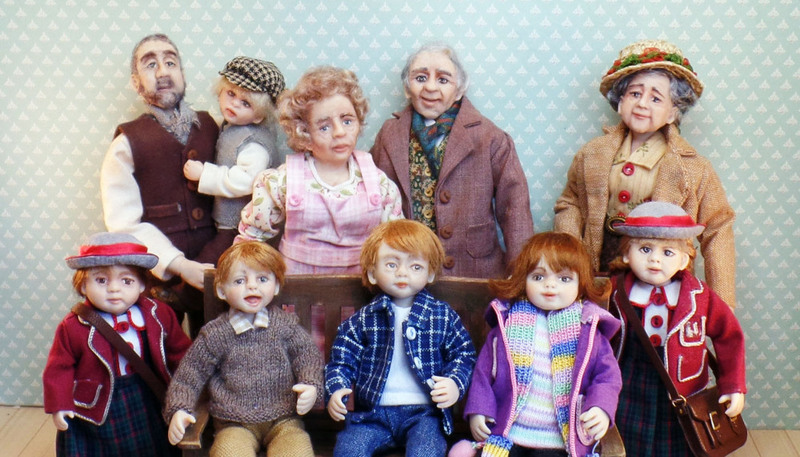 Create a whole family of dolls with a beautiful character and one of a kind dolls.